I've made my way - and my living - for all of my adult life through an engagement with words, as writer, teacher and speaker. For the past fifteen years, I've led workshops on Active Dreaming, my original synthesis of modern dreamwork and shamanic techniques for journeying and healing. I've noticed that in all of my courses, in the round or online, one of the things that happens (regardless of the overt agenda) is that people turn into storytellers and writers. This is partly because they find themselves getting closer to the big stories that want to be told. It's also because, as we learn to relax into a state of conscious dreaming, and enter the places of true imagination, we are entering the "zone" where the best creative work is done. In recent years, I've found that some of the workshops I most enjoy are ones that are openly dedicated to writing and storymaking, and I'm now devoting more time in my events schedule to "Writing as a State of Conscious Dreaming" (7 days in Costa Rica in February, 5 days in the foothills of the Cascades in June) and "The Healing Power of Story" (a weekend on San Francisco Bay in January, and another in Cincinnati in June). Writing, like anything else you want to do well, is a practice. Having something you really want to say is important, but it may never come through without a practice that supports delivery. I thought I would share, as a New Year's gift, some of the elements of practice that work for this writer. 2. Warm Up. Journaling and writing email letters - as long as they are real letters, not just office stuff - are excellent ways to start working those writing muscles, and material you can rework in a story or essay may just pop up. 3. Set a Time Limit (until you are on a roll and simply can't stop). 30 minutes is great. So you can't finish something in half an hour - even greater, because then next time you sit down you don't have to start with a blank page. 4. Sideline the Editor and Avoid Feedback Felons. Don't judge or evaluate what you are writing until it's done. And do not let others play editor or critic - avoid Feedback Felons (anyone who gives you less than positive encouragement or saddles you with wrong or premature expectations or is simply jealous because you are creating and they are not). 5. Keep Your Fingers Walking. Don't agonize over trying to perfect any part of what you are writing until you have sketched out the whole thing. 6. Relax - and Pay Attention. The flow state is one of relaxed attention, or attentive relaxation. You are stretching yourself, and your ability to receive and bring through, without forcing anything on the level of the control freak in the ego. If you're stuck, put on some music, take a shower or a swim - getting in flow with water always helps - take a walk for five unscheduled minutes and see what the world gives you. 7. Gag the Demon of Expectations. You want fame and fortune from this, or at least some respect from your friends? Fine. But don't let your expectations damn your performance. Write for the heck of it, have a good time doing this for its own sake. 8. Put Yourself Where the Big Story Can Grab You. Writing, at its core, is about releasing a story. Never forget that the Big story is hunting YOU. The whole art of telling it is to keep moving - further and further from the tame and settled lands - until you get deep enough into the bush for the Big story to jump on you. Then everything will be different, and fabulous. 9. Remember Your Writing Partner. You may have various writing partners, but right now I am talking about the big one, the creative spirit the Romans called the genius. The more you are willing to give yourself to your writing for its own sake, to dare something new, the closer you draw this guiding power and its limitless energy. 10. If You Must Work to Deadline, Make Sure It's an All-But-Impossible Deadline. Our genius loves us best - and helps us most - when we take on the greatest challenges, and play the game hardest. What happens to the dreams we don't remember? I asked myself that question one morning, when I awoke with little dream recall, though I could feel that my night had been highly active. I decided to go back to bed, focused on this intention: I would like to visit a place where forgotten dreams are kept. I arrive in a space that looks like a neighborhood video store. I don’t walk through the door. I am simply there. There do not seem to be other clients, or any of the regular clerks. There is a strange creature among the shelves. Its head is birdlike, with a single eye, and – like its long neck and upper body – is chromium-plated. I notice this thing is next to the Horror section. I wonder whether it is simply a display, then see that it is alive, moving slowly on multiple feet or pads. I give it a wide berth. The videos on this level are organized according to familiar categories – Drama, Comedy, Family, Adult etc. There is a large Adult section most of whose content is quite unfamiliar to me. I realize that a block has been placed on some of this material, so that it did not reach my conscious mind, or – in cases where the film has been rated I (for Intrusion) was not allowed through during the night. Beyond the first room, I see a space devoted to Diagnostic Imagery. I discover sections devoted to my dreams of individual people. I have only to focus on a name or title, and the movie begins to play all around me, so I can enter it at will. There is no need here for a DVD player. You simply select a movie, and it starts playing. I see a dream of a woman who had disappeared completely from my remembered dreams. In the dream movie she tells me, “I want to give you a life of exquisite beauty.” She changes from a sarong to the flowing evening gown of an older woman; its gauzy fabric floats about her. I am surprised to find a fairly large section devoted to another woman who has only appeared in my remembered dreams once or twice, and equally infrequently in my waking thoughts. I sample one of these dream movies. In it, she shapeshifts back and forth between the forms of a woman and a flowering vine. I realize I have a guide available, a woman in a sky-blue uniform, rather like a flight attendant’s outfit. She shows me a staircase leading down, through an opening that is doughnut-shaped, padded with blue upholstery. I go down, and am surprised to find myself at a bus stop. I wait at the bus stop for a time, then realize that just as a bus is a shared vehicle, so this bus stop is a portal to the realm of shared dreams. I am excited by the prospect of exploring dream adventures I may have shared with other people, and may not have remembered. I focus on three people who are central to my present life. In each case, I ask to view the dream movie that presents our initial encounter (whenever and wherever that may have been). I find that there is an immense archive of shared dreams involving each of these people. One is as large as a great gothic cathedral, with shelves rising to the high roof many stories above. I watch several dream movies in each location. They take me deeply and vividly into scenes of other lives and other times - of leopard people in Africa, of Celtic voyagers in a coracle on a cold northern sea, of a turning castle in a high desert landscape where everything is the color of sand except for the pretty star-shaped flowers, blue and purple, on a terrace. The dream movies reveal a hidden order of connection in all these relationships, transcending our present lives. I know now that there is no limit to the entertainment and instruction available in this Cosmic Video Library. I note again that some of the unremembered dreams were not merely forgotten, but blocked. There is an operating censor who tries to shut out psychic intrusions and projections. I decide to make a quick scan of materials available for the history of dreaming. A new movie starts playing. It involves an ancient battle in China. Guided by a dream, a general deploys his troops in a mountain pass to crush an enemy. I will watch no more dream movies on this visit, because my female guide in the sky-blue uniform is telling me it's time to get up and write things down. Time to re-member the forgotten dreams. I’ll know where to come to pick up some more, on days when my dreams have fled. When a lusty, ambitious young Scot named James Boswell first met Dr. Samuel Johnson, Johnson advised him to keep a journal of his life. Boswell responded that he was already journaling, recording "all sorts of little incidents." Dr Johnson said, "Sir, there is nothing too little for so little a creature as man." Indeed, there is nothing too little, or too great, for inclusion in a journal. If you are not already keeping one, I entreat you to start today. Write whatever is passing through your mind, or whatever catches your eye in the passing scene around you. If you remember your dreams, start with them. If you don't recall your dreams, start with whatever thoughts and feelings are first with you as you enter the day, or that interval between two sleeps the French used to call dorveille ("sleep-wake"), a liminal space when creative ideas often stream through. If you have any hopes of becoming a writer, you'll find that journaling is your daily workout that keeps your writing muscles limber. If you are already a writer, you may find that as you set things down just as they come, with no concern for editors, critics or consequences, you are releasing descriptive scenes, narrative solutions, characters - even entire first drafts - quite effortlessly. Some of the most productive writers have also been prodigious journal-keepers. Graham Greene started recording dreams when he was sixteen, after a breakdown in school. His journals from the last quarter-century of his life survive, in the all-but-unbreakable code of his difficult handwriting. First and last, he recorded his dreams, and they gave him plot solutions, character development, insights into the nature of reality that he attributed to some of his characters, and sometimes bridge scenes that could be troweled directly into a narrative. Best of all, journaling kept him going, enabling him to crank out his daily pages for publication no matter how many gins or how much cloak-and-dagger or illicit amour he had indulged in the night before. You don't have to be a writer to be a journaler, but journal-keeping will make you a writer anyway. In the pages of your journal, you will meet yourself, in all your aspects. As you keep a journal over the years, you'll notice the rhymes and loops or cycles in your life. Beacuse I was recently invited to teach workshops in Romania, I have been re-reading Mircea Eliade, the great Romanian-born historian of religions. Opening the last volume of his published journals, I found him reflecting during a visit to Amsterdam in 1974 on how a bitter setback to his hopes at the time he first visited that city nearly a quarter-century before had driven him to do his most enduring work. He had been hoping that his early autobiographical novel, published in English as Bengal Nights, would be a big commercial success, enabling him to live as a full-time novelist. Sales were disappointing. Had it been otherwise, "I would have devoted almost all my time to literature and relegated the history of religions to second place, even though Shamanism was at the time almost entirely drafted." The world would have gained a promising, and perhaps eventually first-class, novelist; but we might have lost the scholar who first made the study of shamanism academically respectable and proceeded to breathe vibrant life, as well as immense erudition, into the cross-cultural study of the human interaction with the sacred. Synesius of Cyrene, a heterodox bishop in North Africa around 400, counseled in a wonderful essay On Dreams that we should keep twin journals: a journal of the night and a journal of the day. In the night journal, we would record dreams as the products of a "personal oracle" and a direct line to the God we can talk to. In the day journal, we would track the signs and synchronicities through which the world around us is constantly speaking in a symbolic code. "All things are signs appearing through all things. They are brothers in a single living creature, the cosmos." The sage is one who "understands the relationship of the parts of the universe" - and we deepend and focus that understanding by recording signs in our day journal. Partly because I keep unusual hours, and am often embarked on my best creative work long before dawn, I don't separate my night journal from my day journal. All the material goes into one book - a leather-bound travel journal, when I am on the road. I try to type up my entries before my handwriting (as difficult as Greene's) becomes illegible and put the printouts in big ringback binders. I save each entry with a date and a title in my data files, so I automatically have a running index. "Bibliomancy" is the fancy name for opening a book at random to get guidance on a theme, or simply the quality and content of the day. I often use old journals in this way. For example, on Christmas Eve, after learning that a friend had developed a serious illness and was having other major troubles in her life, I reached blindly into a shelf of 30+ old travel journals, grabbed one without looking at the date, and opened it at random, I found myself looking at a short dream report from December 2003, just over five years before. The dream was about my friend. It stated that she had "accepted Purgatory for a year. This Purgatory is a room in her home that opens into the same realm." I shared this report with my friend, and we began to work with the meaning of "acceptance" and of "Purgatory". I also shared other reports in that old journal on tbe page before and after the "Purgatory" entry, since I have often noticed that when events start to catch up with an "old" dream, other "old" material around that dream can prove timely and helpful. The neighboring entry in my 2003 involved ways of delivering spiritual nourishment, which we found highly relevant. Tracking how symbols feature and evolve in your dreams and your experience of the world around you will give you your own encyclopedia of symbols, better than any of those dream dictionaries, because the snake or the train in your dream is yours not theirs. While it may open into the archetypal data banks of the collective unconscious, or super-conscious, those links are for you to explore and not to receive on a hand-me-down plan. When I was an undergraduate, writing book reviews for a local newpapers, I was fortunate to be assigned one of the first English-language editions of the Carnets of Albert Camus. I was struck by how the great French writer was fired up by the quotes he recorded from his eclectic reading. Etched in my memory is a grim exchange in the Carnets from a Russian source. Avvakum, an archpriest, and his wife, are trudging through a frozen waste. The wife asks, "How far must we journey?" "Until death, daughter of Mark." "Then, son of Peter, we must hurry on." My own journals are peppered with quotes from all over, from sources celebrate an utterly obscure, ranging from the message I may have spotted in the first vanity plate I saw on a certain morning (BCRE8V) to a spell from the Egyptian Book of the Dead or a "snapper" from Mark Twain. If we are privileged to have access to young children, one of the greatest gifts we can give them - and in the process, ourselves - is to encourage them to record dreams and stories in a boom that will become a journal. I did this with my own daughters. When they were very young, they would do the pictures and I would write the words for them. They took over more and more of the writing, as they got older, until, at age nine, they were keeping their journals by themselves and for themselves. Then the same thing happened in each case. They said to me, in effect: "That's it, Dad. This is my secret book and you can't read it anymore." Now that's a journal. The secret book of your self and your soul, not to be shared with anyone without permission, which should not be given lightly. When life deals you a tough hand, you'll find that as you write your journal, you are practicing spontaneous self-therapy. You may be able to write your way through whatever ails you. There's a great release, perhaps a catharsis, in saying what you need to say in the safe space your journal provides. When you see and state things as they are, you already begin to change them. Keep your hand moving, and you may manifest the power to re-name and re-vision symptoms, challenges and difficult situations in the direction of resolution and healing. As you keep your secret book, you'll discover more, and more will discover you. You'll find yourself straying off the tame and settled developments of the everyday mind, into the wilder borders of imagination, where the Big story of your life can find you. The exchange that follows surfaces issues that have confronted all of us, and challenge many people today, and we can all feel for the dreamer. Dreams, synchronicity and serendipity have played very large roles in my life. I'm afraid I am experiencing a crisis of faith, among other things.There were a few synchronistic events that led me to buy my house, the only home I have ever owned. After submitting my final offer three years ago, I was rejected. That night I dreamed I was sitting in the back yard at night under the arbor, looking at the lit house. I had never been to the house at night before. When I awoke, I recieved a call from my Realtor telling me that the owner had reconsidered and was accepting my offer. I signed the papers two months later. My father was admitted to the hospital the next day and died four days later. My dream came true on the night of his funeral when I sat under the arbor to drink a toast for him. I recognized the dream as I sat down. Now, three years later, I am losing my home and facing bankruptcy. The dream I had of the house, and all the other synchronistic things that led up to my purchase of it, did not have any feelings of foreboding or fear attached. I guess my question for you is: How do you again trust the dreams and synchronicIty when they've led you down such painful paths? I'm sorry to hear about the trouble you are going through. Though there may be slim consolation in this, you are not alone in the current state of our society. I'll say something that may be very hard to work with right now: we always want to look for the gift in a challenge, however terrible the challenge may be. This is possibly the most practical guidance I can give you, if you are willing to work with it. Don't blame your dreams and the signs you may have received from the world for the current problems. If it were my life, I would accept that I received information that was relevant at one stage of my life, though I may have misread some of it or not grasped it fully at the time. Now life has moved on, so I want to be alert for fresh messages. Greater dangers attract greater allies, unless we make ourselves unavailable for their help. Oh yes - it's okay to ask for help. You turned to me. I want you now to turn to your deeper Self, the God you can talk to, the conscious universe, and ask, humbly and deeply, for help from those sources. I know this is a shocking discovery, and it would not be surprising if you felt cheated and confused. This is also a very big moment on your journey of growing up. Actually, it’s not big, it’s ENORMOUS. Now, I know that when you’ve seen something with your eyes it can be hard to believe a different thing unless you can see that with your eyes too. What's in a name? How about $50 billion? That is the amount that a financier named Bernard Madoff has allegedly disappeared from the assets of banks and investors all over the world, by running a slick variation on an old confidence trick. In the torrent of ink and pixels being devoted to the failure of fund managers to exercise "due diligence" here, I have not seen anyone pause to note that if you listen to words and pick up puns, you might have heard a warning in the name. “Madoff” is pronounced “Made-Off”, as in made-off-with. Is it crazy to suggest that failing to hear that word clue cost institutions and investors all that money? Far less crazy, and $50 billion less expensive, than how supposedly smart people behaved in ignoring it. Missing another word clue bankrupted Mark Twain, a story worth recalling and one we can laugh about without pain because it happened in another time and the victim revived. Mark Twain always hoped to make a bundle doing something other than writing or speaking. He thought he saw his chance with the development of a new typesetting machine. Remembering his sweaty days toiling with heavy trays of type in hick print shops, he also dreamed of being present at the creation of a new technology that would make printing speedy and accurateHe was captivated by a man with a plan for a new typesetting machine, an indefatigable self-promoter named James Paige. As Mark Twain ruefully recalled later, Paige “could persuade a fish to come and take a walk with him.” Mark Twain was soon convinced that Paige’s machine was going to be the biggest thing since Gutenberg, and he drained his bank accounts to become the biggest investor in the project. However, the enterprise was bedeviled by delay after delay, By the time Paige had completed a working prototype, his machine was obsolete, overtaken by new and superior typesetters. Mark Twain lost most of his money in this fiasco. Now for the word clue that was missed. Mark Twain never seemed to get the name of the inventor or the machine named after him right. I’ve gone through his correspondence and his journal entries on this theme. Again and again, he wrote “Page” instead of “Paige.” Mark Twain had decided to invest all his money in a machine that promised to make printing more accurate. Yet he could never spell the name of the machine or its inventor correctly. Doesn’t it seem that there was a cautionary message here? I’ll bet that with hindsight, Mark Twain would have agreed to the snapper: Notice what’s showing through your slip. Mark Twain was very near broke when a “chance” encounter introduced him to the man who put him back on his feet. “We were strangers when we met and friends when we parted, half an hour afterward,” he recalled in his Autobiography. “The meeting was accidental and unforeseen but it had memorable and unforeseen consequences for me. He dragged me out of that difficulty and out of the next one.” The meeting took place in the lobby of the Murray Hill Hotel, where Sam’s friend Dr Rice recognized Henry Rogers of Standard Oil. Mark Twain and the forceful capitalist – sometimes called “Hell Hound” Rogers - hit it off. Rogers restructured his business affairs and sheltered him from his creditors until he was finally out of debt. Plenty of people who failed to hear the clue in “Made-Off” will be hoping for a similar stroke of serendipity. For more on Mark Twain’s “rhyming life”, see chapter 10 of The Secret History of Dreaming. It seems that the communications technology of the departed keeps pace with innovations down here. Since the invention of the telephone, phone calls from the dead have been a familiar feature of many dreamers’ nights. One woman got a call from her mother, who had recently passed, in which her mother said, “I can’t talk for long since I just got here. I’ll have more phone privileges later on.” The dead send email and their voices come through on Blackberries and in podcasts in contemporary dreams. I’m using the word “dead” here the way the Irish do. Our dead are usually alive in our dreams, because indeed they they are still living, "dead" only in the sense that they have left their physical bodies behind (though sometimes they are not aware of that). Interaction with our dead – again, especially in dreams – has been, in all cultures and all times, the principal source for the human belief that consciousness survives death. Our dead are a constant source of breaking news, whenever we are tuned in. They give us news flashes, ranging from personal health alerts to next year’s headlines. The departed are not trapped by the illusion of linear time. If they have cleared old business and have an interest in helping survivors to do better, they can be very helpful guides in pointing out possible future events, and what we need to do to shape those events for our health and well-being. One of my personal markers that there may be unusually important information in a dream, especially relating to the future, to health, and to life-and-death issues, is the appearance of a departed person I trust, including two beloved black dogs who once shared my life. “A few months later, I dreamed my dad was checking in on me to tell me he was moving on. I see a charming farmhouse set among pastures and fields of crops. I know this is one of many residences for my parents. I find them and join them in a car. My father shows me that he now has his own driver and then invites me to come with him inside a lodge where he has been receiving instruction, some of it – he says – involving ‘my things.’ These include early religions, dreaming, and exploration into spiritual matters. He shows me charts of the heavens and points out stars and constellations, giving me lengthy and exciting explanations about the influence of the movements of the heavens on our lives and on our dreaming. I see a jumble of stars which he says he has just discovered. Humans have not been able to see them yet because they are too many light years away; but he is working with someone – I have the feeling this is an astronomer on earth - who will soon develop the technology to see them. So dying definitely need not mean hanging up on those near and dear. It seems an increasing number of people in contemporary society are taking that notion a bit too literally. Funeral homes report a steady increase in the number of clients who are being buried with their cell phones, Blackberries, or Bluetooth earpieces. When Manhattan criminal defense attorney John Jacobs died in 2005, his widow buried him in a Paramus NJ cemetery with his cell phone and continued to pay the monthly phone bill. She had his cell phone number carved on his headstone so others could keep in touch too. According to one television report when she and others call, they get his voicemail, promising to get in touch as soon as possible. Dream phones offer live conversation, and you don't get a monthly bill. For guidance on this whole theme, including practical techniques for spiritual release and conscious journeying to the departed to explore their realm, please consult the chapter on “Dreaming with the Departed” in my book Conscious Dreaming, Part III of Dreamgates and The Dreamer's Book of the Dead. Travelers are preparing for the journey into the desert, beyond the maps, beyond the cities and the last outposts of consciousness. There are many roads that lead away from absolute knowledge, only a few that will bring the traveler to a true point of entry. The great scholar-city of Anamnesis is devoted to opening the ways, and some fly directly from its towers towards the great shining disk that is the portico of the absolute. Elaborate maps are drawn up and plans produced showing the revolutions of the stars and the star-beings who guard the gates of the ascent to the highest knowledge. Yet some of the brilliant scholars here mistake their maps for the journey, and are lost in their studies when the call comes to take the road. Some find their ways through the Dreamlands. Many more have become lost or entangled, and return through the parched lands where dying dreams gasp or flounder like fish beached on a shore. Few who stumble into the Souqs of Hearsay – where travelers’ tales and talismans are traded, and dubious guides tout their services – find their way. In the cane-brakes of Half-Remembered Things, thoughts and visions take flight like waterfowl. Most escape. Some are brought down, stone dead, by careless hunters. Only the hunter with a subtle net can bring them home. We can be diverted for whole lifetimes from the journey in the closed Cities of Revelation, where people are penned within received and fixed beliefs. From some of the closed cities, no legal exit is permitted; to continue the journey you must make an escape - and risk terrible punishments if you are caught. In the Swamps of Forgetting and the Zona Rosa, caught in the wallows of addiction, no one recalls the existence of a zone of Absolute Knowledge. In the Cities of the Reducers, ruled by scientific materialism, the possibility of higher dimensions is denied and dreamers conceal their dreams for fear of being confined to mental institutions. I discuss arrangements for a journey to absolute knowledge with a pleasant couple. The woman has worked with me for a long time and has traveled through many mythic gates. Her husband is tall and lean, with glasses. He is diffident about his readiness to join our expedition. I share a vision in which he is playing a key role as our quartermaster, thanks to the immense resources he will soon inherit from his mother, a fierce matriarch and mistress of a commercial empire – sending ships and tankers across the seas – who also has a deep interest in esoteric things. We are gathering horses, equipment, provisions. I tie and retie a curious pair of black sandals whose front straps are loose. The diffident man astonishes us by driving incredibly fast through narrow spaces in a busy shopping district, pulling with astonishing skill through a space only an inch or so wider than his vehicle. Who returns from the journey to absolute knowledge? Where can we find them and consult with them? Can the blind Ute woman really be one of those who has made the journey? Can the silent old man who sits all day among animals – stray cats and dogs and others – be one of the successful voyagers? My expedition is almost complete. I am discussing the final arrangements - including such technical questions as whether we will require camels as well as horses for the desert crossing - with the couple who are devoted to my work. The entrance to the realm we are seeking appears as a desert of clean, striated white sand, edged by a few palms and the last oasis. There can be no turning back, after this. Dorothy agreed with her daughter that when she passed on, the two of them would try to meet each other in a comfortable space on the Other Side. Walking together in the moonlight on Dorothy’s favorite beach in Maine, they had the feeling that the place they needed might be there – not on the physical moon, of course, but in the astral realm of the Moon. The details remained a bit fuzzy until they came to one of my workshops in which we practice the art of dream travel. They both fizzed with excitement when I announced that the group would embark on a night journey to the Moon, with the specific intention of learning about the possible experiences of the spirit in this realm prior to birth and following physical death. After the drumming session, Dorothy and Meg were eager to share their experiences. “I went back to my favorite beach in Maine,” Dorothy told us. “It was so easy to get up there. I just rode a moonbeam that was shining across the water up to the bright face of the Moon. “I was welcomed by Gabriel. I was a little embarrassed. I couldn’t quite believe that an archangel would take an interest in little me. But he made it clear to me that he is Gabriel, and reminded me that he is the archangel of the Moon. “Gabriel asked me why I had come, and I told him, I need a very special place, a place where I can meet my beloved daughter after I die. “I was escorted to a large, comfortable white house with huge windows. Looking through the windows, I could see out to the universe, and down to the Earth. Meg nodded vigorously, her eyes shining with tears. She told us that in her own journey, she had toured the white house but had also traveled beyond it, to explore environments that she and her mother would enjoy in the future. She had visited a Moon Café, where she had sampled “moon pie” and sweetened something like coffee – which she and her mother loved – with “moonball sugar”. I like to refer to coincidences as "secret handshakes from the universe". Sometimes, however, a series of coincidences feel more like an unseen hand slamming a door in your face, over and over. Whether positive or negative, coincidences serve as homing beacons, helping us to know whether we are on the right path or need to make a course correction - provided, of course, that we stop saying that coincidence is "only" coincidence. The celebrated law of attraction is at work in all this, because mind reaches to mind and mind and matter interact at every level of the multiverse. But there are a couple of things we need to know about how the law of attraction really works. For starters, like attracts like - but it can also attract unlike (isn't that true of plenty of marriages?). More important, if we set our sights on something - weight loss, money, success in any field - from the limited perspective of the conscious ego, we may find we get an outcome that is very different from what the "daily trivial mind" thinks that it wants. The magic happens when the natural wisdom of the body joins up with the larger agenda of the higher self, and hook up the ego to an agenda beyond its wit. I just picked up your wonderful book "The Three Only Things". I've been studying synchronicity for about ten years looking for answers to a mystery that's been going on in my life. Ten years ago I got serious about my passion -- screenwriting. I sold two scripts during that time, one was made. But here's the curious thing...I wrote over twenty screenplays during that time, and just like your "Indiana Jones" incident, I got AMAZING synchronicities EVERY TIME I started one. But here's my question... Why didn't they sell? This question haunts me. I get these astonishing series of signs, like a heavenly "thumbs up" -- and I write them...and they don't sell. What am I missing here? 1. We must never confuse value with valuation. The first is what makes something intrinsically worthwhile and of enduring importance. The second is what controls buying and selling in the marketplace. 2. It's the journey, not the destination, that matters. I'll bet you had some grand creative moments bringing through the scripts that haven't sold - YET. 3. Notice the YET. Sometimes we need to wait for a wave to catch up with us. (This has certainly been my own story for much of my life.) Scripts so far unsold may find a producer, yet. 4. Put on a performance - no, lots of performances - of your best unsold script for yourself, your friends, anyone willing to take part. Use a living room, an old hall, whatever. Get it OUT THERE. 5. Continue to put your questions to the world (through our coincidence game) and to your dreams by setting an intention for the night). Maybe you'll get your answer. 6. Keep your hand writing, or your fingers tapping that keyboard. It's what writers do. I suggested to Rod that the universe may have given him a great idea for another movie, about a guy who tries to navigate by synchronicity and work the law of attraction, but seems to be rebuffed - at least until a twist in the tale that might reveal a deeper logic of events. Then it occurred to me that while coincidences may feel like secret handshakes, or like a trickster pulling the rug from under us, they sometimes feel like an unseen hand mussing our hair. This is irritating for most kids after a certain age, but may reflect a benign intent that will deliver a fabulous gift later on. There's more. When the universe gives us a clear message, we may be required to act on it. I'm not talking about Rod now, but about myself, in relation to the "Indiana Jones" incident to which he refers. I was given amazing confirmation - through an unlikely series of coincidences during a plane trip - that I ought to write a ripping adventure involving Winston Churchill, time travel, and occult battles during World War II. I have yet to write that book. But I did make a sideways approach, with a chapter in my new book The Secret History of Dreaming titled "Winston Churchill's Time Machines" that starts with the dream in which Winston received a visitation from his father, Lord Randolph, seeking an update on the state of the world fifty years after his death. On a pleasant day in late summer, Liese is strolling downtown in a small city in the American Midwest with her young son. As they pass a tall glass-walled bank building, they pause at the unexpected sight of a giant panda ambling around an enclosed atrium, snacking on bamboo stalks. Delighted and amazed, they watch the panda through the glass as it starts to climb. Then Liese realizes that above them, a panel is missing in the glass wall of the bank, and the panda, moving quite fast, no longer seems so cute. As she starts to lead her son away, the panda erupts through the gap in the bank wall and morphs into a Godzilla-like monster. Opening its great jaws hungrily, it flies at Liese and her son, apparently intent on devouring them. Gripping her son’s hand, Liese breaks into a run….and wakes, still terrified, not sure whether she and her boy managed to get away. Liese’s dream dates from August 31, 2008, two weeks prior to the collapse of a famous investment bank, Lehman Brothers, that threw the world financial system into upheaval and quickly erased trillions of dollars worth of personal assets. If you know anyone who has faced foreclosure, or had other credit problems, or difficulty getting a bank loan, or if you have simply watched the value of your savings shrink, you’ll have no trouble understanding the symbolism of the panda in the bank that becomes a monster – Panzilla! You may hear a further level of meaning in the audio pun; “panda” sounds like “pander”. And if you are interested in getting a feel for the future, you may want to consider how the Panzilla dream may presage events that have not yet taken place. Where do pandas come from? China, of course. Is it possible that the dream foreshadows a possible future in which a change in China’s banking and investment policies could cause even worse grief for Western economies? Perhaps. Great events, as Goethe observed, cast a shadow before them. Dreams rehearse us for how we may behave in the context of future collective events, as well as for events themselves. On September 23, 2008, I dreamed I was driving down a narrow road that plunged down, almost on a vertical incline, for miles. There was no way of turning around, and no point in trying to step on the brakes or shift the gears. In the dream, I was amazingly calm. I took the plunge. I noticed that all the way down the road was lined with floats – large orange cubes that would keep something afloat in the water. When the road finally descended to a body of water, the descent bottomed out and the road became a bridge that ended at an upscale retail complex that reminded me of the international duty-free zone at an airport terminal. I was a little nervous that my speeding car would not be able to stop before it crashed into the glass wall of this are. But it came smoothly to a stop inches away from the glass. Nattily dressed sales assistants popped up, offering luxury wares. Business, it seemed, was back to normal. This dream guided my personal responses to the financial crisis. It's hard to miss the relevance of the theme of the seemingly unstoppable, near-vertical descent of a car today, in the context of the threatened collapse of the auto industry. I take comfort from how my dream self succeeded in getting through by “masterly inertia”, and that after the scary plunge that went down and down, a terminal crash was avoided. May it be so! I've been meeting again with the Emperor of Enchantment in a certain quarter of the imaginal realm, somewhere beyond the swamp of half-forgotten dreams but a far journey from the scholar-city of Anamnesis. He shows himself without ostentation, in a smoke colored burnoose like a man of the desert, sometimes riding a mighty smoke-colored horse. I first met him in a busy open air market alive with flashing colors and the rich aromas of cardomam, coffee and jasmine. I was drawn at first, naturally, to the alley of the old book dealers. The billowing white canopies above their stalls recalled my boyhood sessions reading under the sheets with a flashlight after my mother had issued firm instructions to go to sleep. I thought I might find a rare volume that has long eluded me, a chronicle from an eastern kingdom, known to Marco Polo, that is said to contain the true story of the Magi. That book eluded me, but I was delighted to rediscover a companion of my youth, a tale in which the hero can only get to the object of his desire by enchanting the guardians of a magic apple orchard by making up stories. I walked on, down the alley of the bird-sellers. The best of them had no need for cages. They displayed their birds on golden flowering bushes from which the birds had no desire to fly away until the right person appeared. I came to a humble section of the market. The stalls seemed to be devoted to items rescued from attics and garages, broken toys and disheveled dolls. Nonetheless, I was drawn to a stand where the dealer had spread his wares on a rug on the ground. There was something familiar about a knight in armor whose horse was missing one leg. He was the old kind of lead soldier you don't find anymore, now they make toy soldiers out or pewter and plastic. A scene hovered before me like a mirage floating out of a heat haze, of a set of these knights, mounted and foot, on a tray table over a hospital bed, where a sick boy was too weak to avoid spilling them, one by one, to break on the floor. I squatted down to inspect the lead knight more closely. Then he appeared, cloaked to the eyes in his smoke-colored garment. His eyes glowed black as coals. His presence was eerie and unsettling, but fascinating. He indicated that I should inspect all the contents of the stall very carefully. I could take any item I chose, but I should choose wisely because each item opened a different door. I studied a little pair of opera glasses wrapped in mother-of-pearl, a hand-me-down from my great-aunt the opera singer. I remembered using these glasses at a matinee when I was possibly ten years old, to get a better look at the pretty girl leading the Mickey Mouse Club songs. There were many things. A teddy bear, a strange ring, a cardboard periscope, a miniature chess set, a spaceman's gun. I picked up the knight whose horse had a broken leg. Instantly I heard the stirring and snorting and stamping of great horses. Beyond the market, beyond a high wall I had not noticed until now, was some kind of stables. There was no gate in the wall, but as I hurried towards it, with my boyhood toy in my hand, the wall opened and a great horse with a star on its forehead trotted out to meet me. This was the start of my adventures in the Empire of Enchantment. There is something you should know about it right now. It is easier to get in than to get out. That is why some parts of you - a Lost Girl or a Lost Boy or a Lost Traveler among the Mountains of the Moon - may be living there, gone from you for longer than you remembered until now. An astute reader comments that Lincoln may have been "frozen" by the sense of fatality that came with his assassination dream, reinforced by his rediscovery of prophetic dreams in the Bible, and that this may have deprived him of the ability to take action that could have prevented the tragedy he foresaw from being played out. I think this is entirely possible. Many years ago, I dreamed of a meeting in a room with a very odd floorplan. It was shaped like an extremely elongated triangle. I was calling on a powerful man who emerged from a nearby restroom as I was approaching the reception desk, hailed me in a friendly way and - ushering me into the triangular room - proceeded to ask whether I would prefer coffee, tea or "a double whisky-and-soda." More than a year later, I entered the Flatiron building in downtown Manhattan on my way to a meeting with a powerful man, the head of a major publishing company. As I approached reception on his floor, he emerged from a nearby restroom, greeted me with great esprit, walked me into his office - and asked, "Would you rather have coffee, tea or a double whisky-soda?" Now inside the triangular room from my dream, I was so stunned by the exact unfoldment of the dream that I missed a great opportunity. Instead of picking up cues in the conversation and playing with them improvisationally, I dully followed the script I had been given. A gentler example of being "frozen" by a sense of fatality associated with a dream. We want at all costs to avoid fatalism and retain the power to choose between alternate possible futures. I contend that any future we can foresee is a possible - not inevitable - future and that in our game of life we want to use our foreknowledge to try to avert an unwanted future event, or to bring a happy future event into manifestation. In that cause, we need to learn to distinguish several kinds of engagement with the future. In dreams and intuitive flashes, and through the play of coincidence, we may receive an early warnings of a possible future development we may not want – a crisis at work, the bust-up of a relationship, a health problem, a car accident. If we pay attention and decide on effective action, we may be able to use such early warnings to avoid a possible future problem if we take appropriate action. In the same way, we receive advisories about coming opportunities. Early opportunity dreams also require action if we are going to manifest a future we’ll enjoy. You dream you are in your ideal home, or doing the work that nourishes your soul and your bank account, or you are with your soulmate, who is someone you have not yet met in the regular world. You don't want to let those glimpses of possibility float away like helium balloons off the string. You want to figure out what practical action you can take to move decisively in the direction of that happy vision. As dreamers, we discover and inhabit the true nature of time, as it has always been known to dream travelers and is now confirmed by modern science. Linear time, as measured by clocks, and experienced in plodding sequences of one thing following another, always heading in the same direction, is an illusion of limited human awareness, at best (as Einstein said) a convenience. In dreaming, as in heightened states of consciousness, we step into a more spacious time, and we can move forwards or backwards at varying speeds. I have borrowed here from Part One of my book The Three “Only” Things: Tapping the Power of Dreams, Coincidence and Imagination (New World Library). You may want to seek out a copy of my earlier book Dreaming True (Pocket Books, 2000) which is wholly devoted to this subject. 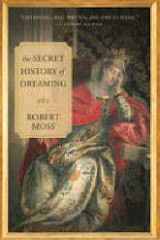 In my new book The Secret History of Dreaming I track the vital importance of dreaming as divination across the whole human adventure. This just in from a friendly daimon of Luna: "'The full moon this Friday Dec. 12 2008 will be at its closest (221,554 miles) to Earth since 1993, and the full moon won't be this close again until 2016. Once a month the moon gets close to Earth at perigee(literally "near-Earth"), but sometimes, as on Friday, the monthly lunar perigee coincides with the full moon. A full moon is largest thru the thickest lens of the atmosphere when it's nearest the horizon. Put your back to the sunset wherever you are and you'll be facing the rising full moon." So Friday may be a most interesting night for dreaming. The ancients believed that there is an intimate connection between dreams and the astral plane of the Moon - or more specifically, the daimons who live there and have frequent interaction with humans. The best source on this I know is an essay by the philosopher-biographer Plutarch (also a priest of Apollo and an initiate of the Eleusinian mysteries) titled "On the Face that Appears in the Orb of the Moon." As Plutarch tells it, drawing on a long tradition of practice and exploration of the mutiverse, the atsral plane of the Moon is the true realm of Persephone, where departed souls on an upward path reside for a time, and through which descend souls on their way to incarnation on Earth. The precinct of Luna contains schools and temples and pleasure palaces, and is a place of constant traffic. For the ancients, the Moon appeared closer to Earth than it typically does for modern urbanized people, except -perhaps - on certain moonstruck nights. But on Friday, the full moon will not only look nearer; it will be nearer. When you journal your dreams and your impressions from the in-between state of hypnagogia, look for moonbeams. You might even, as a conscious journeying exercise, picture yourself traveling towards the bright face of the Moon, ready for an adventure. "I quickly realized that she was a great artist, in the best sense of the term. The timbre of her voice, the rhythm of her hands tapping against her chest, against her heavy necklaces of silver coins, and above all the air of possession which illuminated her face and her gaze, a sort of measured, rhythmic trance, exerted a power over all those who were present. To the simple framework of her myths...she added her own story, her life of wandering, her loves, the betrayals and suffering, the intense joy of carnal love, the sting of jealousy, her fear of growing old, of dying. She was poetry in action, ancient theatre, and the most contemporary of novels all at the same time." What a wonderful evocation of the power of story, and the maker and teller of stories! Is it too late to hope that we can bring back storytelling in our modern urban headphonelands? I think not. Our children hunger for stories, to hear them and to share them. And as we practice telling our dreams and the stories of our life experiences simply and vividly we become bards and griots and storytellers without labor. The first step in the Lightning Dreamwork game I invented requires us to encourage whoever is ready to tell a dream (or, for that matter, any life experience) to tell it simply and clearly, without background or analysis or interruption or reading from notes. We give undivided attention for the duration of the telling, and require the teller not to miss the opportunity to claim her audience. The other night, on the popular overnight radio show Coast to Coast AM, George Noory asked me to demonstrate the Lightning Dreamwork process. I asked him to tell me a story from any part of his life. George thought for a moment and came up with a tale of how he felt so time-pressured that one night he consumed a lavish meal in a fancy restaurant in ten minutes flat, and found himself reddening with embarrassment as the others at the table stared at his empty plate. We proceeded to discuss the moral in the tale, which could make any of us think about where in our lives we are not allowing time to relax and let things flow (and let the stomach gently receive the gifts of the table). I found myself so engrossed in George's telling - and so seized by the theme - that I had to take off my wristwatch in the midst of the show, to give myself the sense of physical release from the entrapment of clock time. Something else to know about a story told well: it has the power to mobilize, to energize and to heal. Seek out issue number 2 of a newish scholarly magazine, The Journal of Shamanic Practice, and you'll find my personal account (in an article titled "Time for the Shark God") of what it meant to make up and transfer a big story - of a shark and a Hawaiian shark god - to a man who had been diagnosed with terminal cancer. Where do we find the stories that need to be told? The child inside each of us knows exactly where to find them, because he or she has never lost the magic of making things up. Our night dreams are factories of stories. Australian Aborigines say that the big stories are hunting the right tellers. All we need do is let ourselves be found, and then allow those big stories to speak through us and for us. Just now I was reading a dream report from a woman who found herself in a different body, traveling with her clan beside a river in a primal landscape untouched by the ax. She knew the lives and relations of these native people intimately, and felt the coming of a hard winter. "I fly an eternal moment with this magnificent bird; beautiful brown, glisten feathers with golden speckles. Eagle is above, beside, then lands in the river. I land downstream and float on the warm white foam. The river is blanketed in white foam. "After I dry off, I fly over the river again. I see Turtles where eagle had flown and landed. The turtles are a darker green. They are solid on the foam, not moving, just peacefully sunning themselves." The dreamer asked me how she should approach the "meaning" of this dream. For me, an experience of this kind does not require analysis, but honoring. Her dream was a journey into the life circumstances of an indigenous people, an entry into a "past" life that might be a prior experience of her own multidimensional self (the multiself) or that of an ancestor of the land where she lives, or her wider spiritual family. Within that life experience, she learned what indigenous dreamers know: you can become an eagle. When the gifted Jungian anaylst Robert Bosnak journeyed to the Central Desert in my native Australia, he sought to understand the practice of dreaming among the Pidjinjara, speaking through an interpreter to a "spirit man" who was said to know all about dreaming and the Dreantime. To warm things up, Bosnak tried to give some account of his own dream practicum. How this translated into an Aboriginal language I do not know. The spirit man sat impassively, occasionally brushing away the blowflies. When Bosnak asked him to explain how he worked with dreams, the answer came back, via the intrepreter, "He becomes an eagle." When the Jungian sought to clarify what this meant, the statement was simply repeated: "He becomes an eagle." It was a just-so statement that had little to do with archetypal symbolism. When the Aboriginal shaman said he became an eagle, he meant exactly what he said: he travels in his dreambody as the eagle, sees with its keen vision, and goes where he needs to be. The American dreamer who flew with the eagle and splashed down in the river did something similar, through the spontaneous shamanism of dreaming. Dreaming is traveling, in the understanding of ancient and indigenous peoples, and we are not confined to one form in these journeys. If you fly with the eagle, you don't want to waste too much time discussing the eagle as a symbol. You want to celebrate the connection, make or find something to keep or carry as a dream talisman, and remember, in the midst of the challenges of everyday life, that you have the ability to rise to a higher perspective, and see "many looks away". The last phrase is from the Iroquois or Longhouse People, who place the eagle at the top of their great Tree of Peace so it can watch and warn of things developing at a distance. In my childhood, the bird I knew best was the sea eagle, native to northern Australia and also to the northern coast of Scotland, the home of my paternal ancestors. In the Orkneys, ancient shamans were buried together with sea eagles. For the islanders of the Torres Straits, the sea eagle is the preferred ally of the zogo le or shaman. I have lived outside Australia for most of my adult life, yet (as I recount in Conscious Dreaming) in big dreams the sea eagle sometimes comes, to lend me wings to fly back to my native country and see something I need to see. Most of us know that Abraham Lincoln dreamed of his assassination a couple of weeks before he was shot. But the full story of that dream - of how it haunted Lincoln, and how he tried to get a second opinion on it, and finally failed, tragically, to heed the warning - is much more intriguing and instructive than the truncated version we are usually given. The original source is a memoir by Lincoln's friend and aide Colonel Ward Hill Lamon, who heard him tell the dream. In Recollections of Abraham Lincoln Lamon recalls that Lincoln was "haunted" by a sinister dream that seemed "amazingly real" but said nothing until confronted by his wife Mary to explain his melancholy and "want of spirit." Lincoln began by talking about the Bible. "It is strange how much there is in the Bible about dreams....If we believe the Bible, we must accept the fact that in the old days God and His angels came to men in their sleep and made themselves known by dreams." Asked for his own views on dreams, Lincoln revealed that he was "haunted" by a dream from a few nights before - and that he had sought a second opinion on the dream, repeatedly, by opening his Bible at random and seeking a message in the text his eye fell upon. The first time he did this, he found himself in Genesis 28, reading the story of Jacob's Ladder, one of the great dream visions in the Bible. He tried again and again. "I turned to other passages and seemed to encounter a dream or vision wherever I looked. Clearly this gave him the sense that his own dream was a true dream, perhaps a prophetic one. This increased the grip of the dream on him, to the point where. Lincoln said, "the thing has got possession of me, and like Banquo's ghost, it will not down." At Mary's prodding, he recounted the dream. There was first a deathly stillness around him. Then he heard the weeping of invisible mourners. He roamed the White House, trying to understand what was going on. The rooms were all brightly lit but he found no one until he entered the East Room and met with "a sickening surprise". Soldiers stood guard over a corpse wrapped in funeral vestments on a catafalque. When Lincoln demanded, "Who is dead in the White House?" one of the soldiers replied, "The President - he was killed by an assassin!" A great howl of grief rose from mourners in the room and waking, Lincoln was unable to sleep for the rest of the night. Having told the dream, Lincoln announced that - despite his Bible discoveries and the depth of his feelings - it was "only a dream" and should be forgotten. But it stayed in his mind, and he tried to dismiss it by developing the idea that it could not be about his own assassination because - as he told Lamon - it was "some other fellow" that was killed. Lincoln understood dreaming. He regarded true dreams and presentiments as natural, not supernatural, and extraordinary visions as the workings of "The Almighty Intelligence that governs the universe." Yet he failed to act on the dream that could have saved his life. THE CARTOON DREAM is a print produced by Currier & Ives in 1864. The artist depicts Lincoln as tormented by nightmares of defeat in the election of that year. In his supposed dream Liberty, brandishing the severed head of a black man, is at the door of the White House, driving Lincoln out with her foot. Lincoln is seen fleeing, wearing a a Scotsman's plaid cap and a cape. His dress is an allusion to an incident prior to his first inauguration in 1861. Informed that an attempt would be made to assassinate him during his trip to Washington, Lincoln took a night train and disguised himself. It was widely reported that he was spotted wearing a Scotch plaid cap and a long military cloak and his critics in the press had a field day poking fun at his alleged timidity. Tragically, this experience may have influenced Lincoln's failure to do more to change the future he previewed in the assassination dream.